In the past years CTO has worked, and continues to work, with a range of health charities and patient organizations interested in clinical trials. For example, CTO has hosted events to better understand what types of resources would be helpful for these organizations; is developing a survey to explore attitudes and perceptions about clinical trials; is helping these organizations to share their own resources and tools related to clinical trials with each other; and, has invited individuals from these organizations to present at CTO’s annual conference on clinical trials. These organizations share information provided by CTO with their stakeholder groups, which may include opportunities to: collaborate in research projects; apply to become a community representative on a research ethics board or part of an advisory group; attend conferences or events related to research and clinical trials; and, learn about new resources that have been created about clinical trials. As mentioned above, CTO is currently working with health charities and patient organizations to help understand attitudes and perceptions about clinical trials within their own communities. By developing and hosting a survey in collaboration with these organizations and with expertise from the Ottawa Health Research Institute, we hope to learn more about the kind of information and resources that people feel would be helpful about clinical trials. If you are interested in learning more about our efforts related to this survey, please contact us at info@ctontario.ca. The organizations listed below are some of those that CTO has worked with collaboratively that have agreed to share their information here. If your organization would like to collaborate with CTO, please contact us at info@ctontario.ca. Brain Tumour Foundation of Canada is the only national charity offering information and support to patients affected by any kind of brain tumour – be it cancerous, non-malignant or metastases. The organization funds ground-breaking research across North America and, since 1982, has dedicated over $6.2 million to finding a cure and improving treatment for brain tumour survivors. Brain Tumour Foundation of Canada is funded solely through generous contributions from individuals, corporations, organizations, employee groups and special events. Learn more at Brain Tumour Foundation of Canada’s website. The Canadian Arthritis Patient Alliance (CAPA) is a virtual, grass-root, patient-driven organization with members across Canada. CAPA believes the first expert on arthritis is the person who lives with arthritis. CAPA facilitates links between Canadians with arthritis and their support systems through collaboration and partnerships with other organizations, representatives from all levels of government, researchers, and other individuals; and through communicating information on health policy issues, research, technology and emerging issues relevant to members. The Canadian Breast Cancer Network is Canada’s leading patient-directed breast cancer health charity. We strive to voice the views and concerns of breast cancer patients through education, advocacy activities, and the promotion of information sharing. The Canadian Cancer Survivor Network works to increase advocacy and to train patient/survivor advocates to promote and engage in the development of policy for optimal cancer care and follow-up for patients, survivors, their families and communities. The Canadian Skin Patient Alliance (CSPA) is a national non-profit organization dedicated to advocate, educate and support Canadians living with skin diseases, conditions and traumas. Our mission is to promote skin health and improve the quality of life of Canadians living with skin conditions, diseases and traumas. We advocate for best treatment options for all skin patients; we educate on a variety of issues affecting these patients; and we support the members of our Affiliate organizations who work specifically on their disease areas such as acne, scleroderma, melanoma and psoriasis. Colorectal Cancer Canada (CCC) is dedicated to increasing awareness and education of colorectal cancer, supporting patients, and advocating on their behalf. As a patient-based organization, CCC carries out a wide variety of awareness and education events both for the public and health professionals. CCC regularly interacts with public agencies and officials to promote effective health policy in connection with colorectal cancer screening, primary prevention, clinical trials and equal and timely access to effective treatments. Cystic Fibrosis Canada is one of the world’s top three charitable organizations committed to finding a cure for cystic fibrosis and is an internationally-recognized leader in funding CF research, innovation, and clinical care. Since 1960, Cystic Fibrosis Canada has invested more than $253 million in leading research, care and advocacy, resulting in one of the world’s highest survival rates for Canadians living with cystic fibrosis. Established in 1974, the Foundation Fighting Blindness (FFB) is the leading sight-saving charity in Canada dedicated to ending blindness. We support world-class researchers who work to understand, preserve and restore sight for people and families living with blinding eye diseases. The Huntington Society of Canada aspires to a world free from Huntington disease. The Society maximizes the quality of life of people living with HD by delivering services, furthering research to slow and prevent Huntington disease and enabling others to understand the disease. 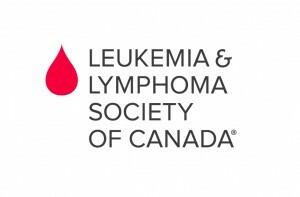 The Leukemia & Lymphoma Society of Canada (LLSC) is the largest health charity devoted to all blood cancers. Our mission is to cure blood cancers and provide support to patients and their families. The LLSC funds innovative blood cancer research geared at advancing patient therapies and improving the quality of life for blood cancer patients. The MCRN, comprised of Canada’s leading researchers and clinicians from across the country, develops and supports Canadian-designed clinical trials nationwide, publishes consensus statements on the management of the disease and collects data for its innovative national database, a key stepping stone in the search for a cure. The Sickle Cell Awareness Group of Ontario (SCAGO) is a registered charitable patient support and advocacy organization. We put patients and families affected by Sickle Cell Disease (SCD) first and advocate on their behalf with the government, schools and the healthcare community. SCAGO supports clinical research, engages in psycho-social research, health promotion, education, awareness and development of best practices guidelines. Its vision is to reduce the number of new SCD births while optimizing the lives of individuals with SCD.